This is the Andhra speciality food. I happened to taste this wonderful combo in one of the South Indian Restaurants in Delhi. If my memory is right, that Restaurant's name is "Andhra Bhavan". It was during our College tour, we stayed in Delhi for few days. We stayed well away from this restaurant. But the staff who accompanied us loved the food served there. Every day morning he would urge us to get ready very early, so that we (he!!!) could relish this best tasting Andhra food. We travelled not less than an hour for our breakfast everyday. They served us the best tasting pesarattu dosa and upma combo. Back home, I nagged Amma to prepare Pesarattu. As Amma had no Andhra friends, she never made it. Later, I forgot about it. Few months back, I was talking to my friend about our by-gone good old college days. Our talk slowly turned towards our tour. We had lots of funny memories about the staff who came with us for the tour. We also talked about the food we had in that restaurant. After she hung up the call, I searched the net for the recipe. I was lucky enough to land on "Sukanya Ramkumar's" blog. Thanks to her for the wonderful recipe. I was very happy that I made the food that I loved. Go here for the recipe. 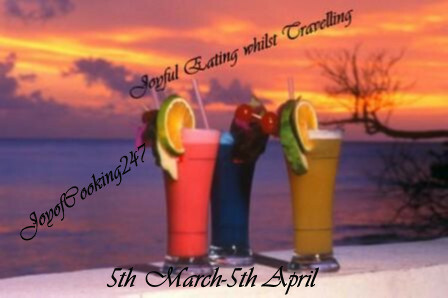 You can find other two wonderful recipes which I tried and tasted here and here. This makes it's way to Jagruti's "Joyful Eating Whilst Travelling"
The following picture was taken during our trip to Mukkombu, near Trichy with our cousins. 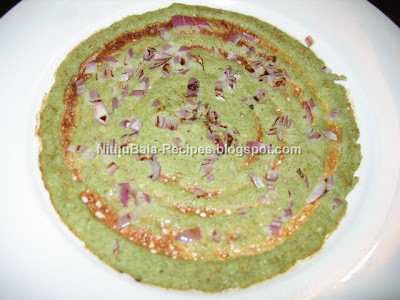 Interesting and new dosa and upma! !...healthy one. The color on that is just gorgeous and the filling sounds so delicious! Happy weekend to you too! 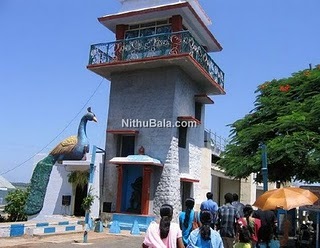 MLA pesartu super Nithu ! This look interesting and good. Have a nice weekend ahead. lovely delicious and mouth watering. It's my all time favorite combo. Your pesarattu looks very crisp and perfect color. Oh my fav one. .. I so much tempted... i would be happy if someone makes rightaway for me .. as i did not make bf too. MLA pesarattu looks fantastic, filling and yumm!! I love this combo very much! It seems like an interesting combination..It looks yummy too..
wow, thats very very filling dish..looks so good and great combo.. Interesting recipe. Would give it a try soon. 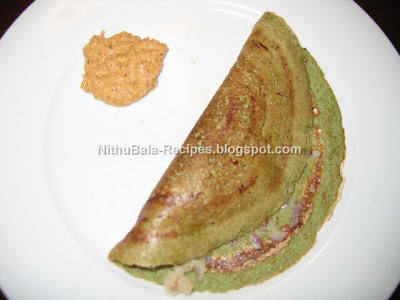 Dosa looks very nice and ginger chutneu also nice click. Pesartu, upma ginger chutney looks yummy. I always wanted to try this combo of pesarattu with upma,end up in making the plain pesarattu every time,looks tempting! Hi there,Thanks!!! for visiting my blog...You got a lovely space...Pesarratu looks delicious!!! Looks delicious. Liked the ginger chutney. Nice combo. 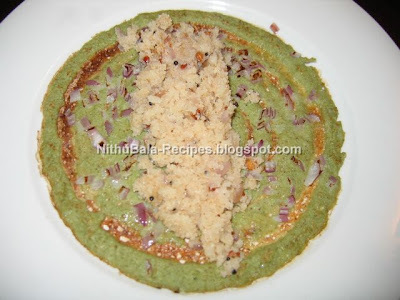 Yummy, healthy and crispy dosa... The color is so tempting.